This is an amazingly delicious meal that will take only 2 minutes. 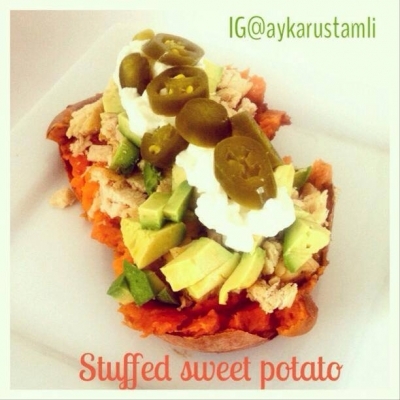 Take baked sweet potato and layer with cut up baked chicken, avocado, greek yogurt and tamed jalapeneos. Simple, easy and fantastic!